The park interpretation centre is located 5 miles from power lines. 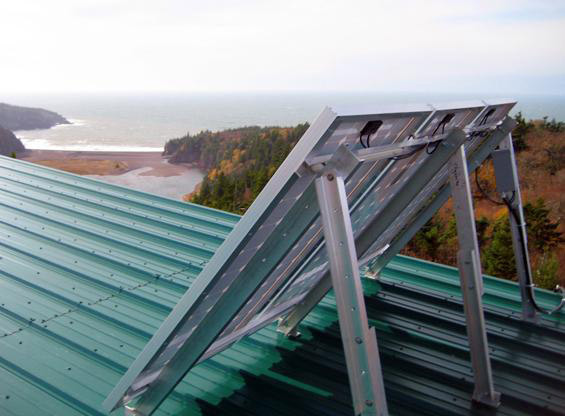 An off-grid solar power system only made sense. 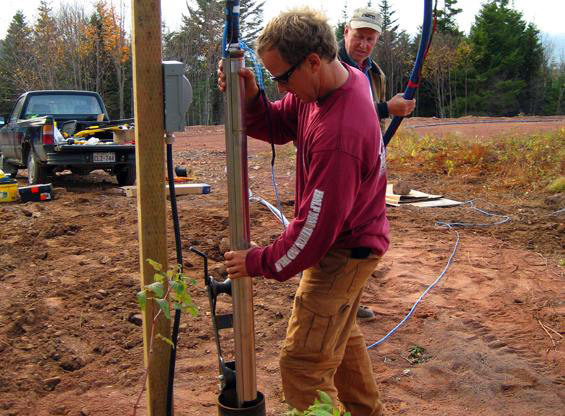 In 2006 we installed 500 watts of solar capacity, a battery bank, an Outback VF3624 inverter, and a SQ Flex Grundfos pump. Their well is 400 feet deep in solid bedrock. The water level is about 300 feet down with a flow rate of only about a gallon per minute. The SQ Flex high head, low volume pump was a good fit. 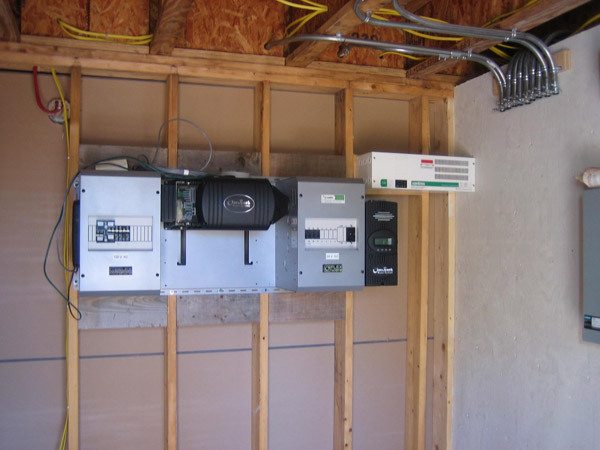 In the picture above: Outback VF3624 in a Flexware Power Panel, FM60 mounted on far right, the white box contains a Xantrex transformer to boost the voltage from 120 to 240. This reduces the cable size required to power the SQ Flex well pump. A secondary 24 volt pump provides water system pressurization from the cistern.